Today, I’m doing something very very different and something a little out of my comfort zone when it comes to reviewing. Today, I am reviewing a manga series. Ladies and gentlemen, boys and girls, otaku and non otaku I give you Solanin. 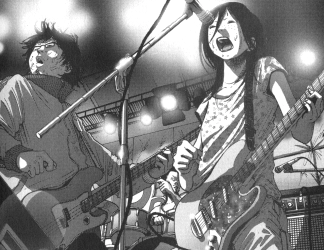 Solanin is a two volume Romance/Slice of Life manga written and illustrated by Inio Asano and published by Shogakukan back in 2005-2006. A live action film from director Takahiro Miki was released in 2010. 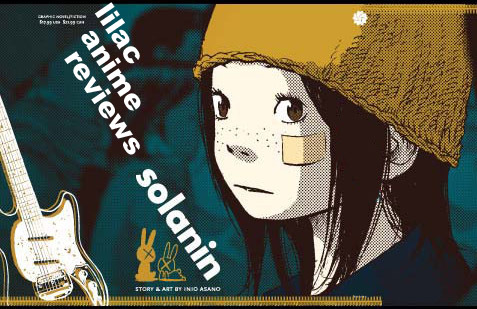 Solanin is currently licensed in the US and Canada by Viz Media. It is also available in French and Chinese. If you’ve been following my vlogs, then you know that I’ve recently graduated from college. As of right now I don’t really have a lot of plans for my future and have been trying really hard to figure them out. Working part time while waiting to head for New Jersey for graduate school and then start an amazing career in my field of study. I know I’m not the only one who feels this way. A lot of recent college grads have those times where they have no idea where life is going to take them next or how they will manage on their own. I can imagine readers latching on to Meiko or Naruo’s stories and being fully able to relate to them. 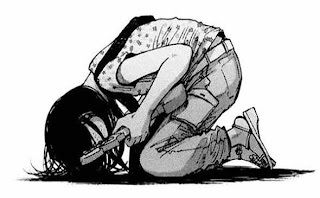 For me, personally, I can relate to Meiko a lot more. 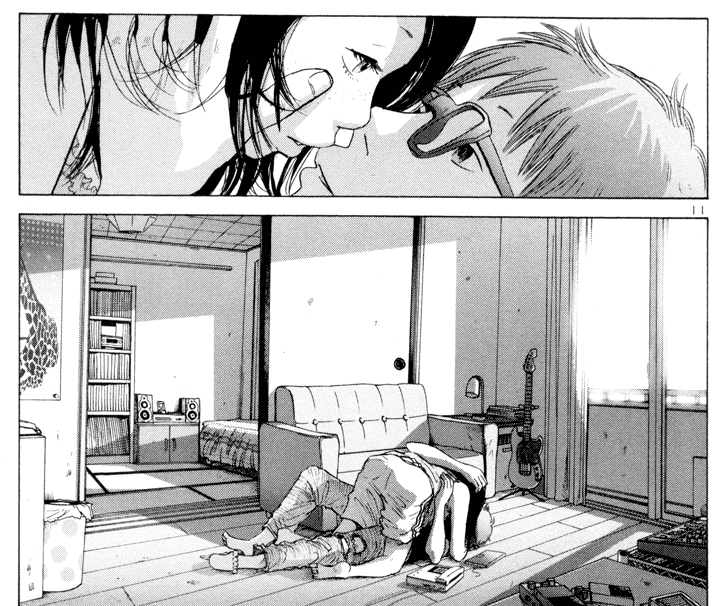 Not only is she struggling to find her way in the world, but she is trying to keep her relationship with Naruo. 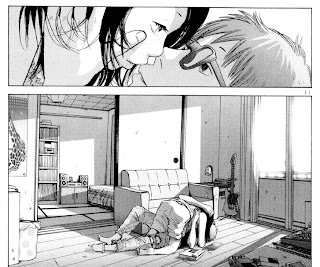 I had been dealing with similar circumstances recently, and although it didn’t turn out exactly as the manga did I can completely relate to it. Lovers, friends, money, jobs, a society with an unclear future, one’s own pride... Writhing in these multiple, entangling factors, perhaps they are unable to draw any conclusions. Perhaps this instant now, is just a small part of their futile daily lives. The only thing that’s certain is that they can never return to the days gone by. The greatest lesson Asano wished the reader to get is the biggest lessons can be learned from the most average of people who are just a couple of feet away from you. I am a firm believe in this, since I have been learning pretty much everything through my own experiences and the experiences of my family. I am the first of my immediate family to graduate college, and the first in my family to attend graduate school. I hope to find a job that will make me happy, and find someone to share that life with. I am going to cherish every little moment of life of have, because you never know when it will be gone. And you’ll never be able to have a complete do over. 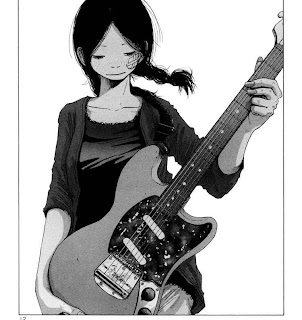 By the end of the concert, Solain is a short manga that pretty much any recent graduate can relate to in some way or another. The story is simple with a wonderful overall theme, the characters are relatable, and it does pull on your heartstrings a bit. If you’re a recent graduate feeling like you’re not going to get very far in the world, I suggest reading this short series. It’s the most realistic depiction I have ever seen in any form of media. Even if you aren’t a recent graduate, if you love good story telling, then give it a read. I’m sure either way, you’ll get something out of it. Next time, we have a serial murder to deal with. Until then, otaku on my friends!